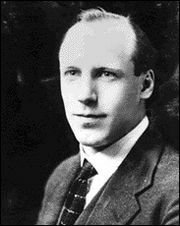 Eric Liddell, often called the "Flying Scotsman", was born in 1902 in North China, second son of the Rev & Mrs James Dunlop Liddell who were Scottish missionaries.He went to school in China until the age of five. At the age of six, he was enrolled in Eltham College, Mottingham, a boarding school in England. At Eltham, Liddell was an outstanding sportsman, being awarded the Blackheath Cup as the best athlete of his year, playing for the First XI and the First XV by the age of 15, later becoming captain of both the cricket and rugby union teams. Eric Liddell became well-known for being the fastest runner in Scotland while at Eltham College. Newspapers carried the stories of his successful track meets. Many articles stated that he was a potential Olympic winner, and no one from their country had ever won a gold medal before. Later on, he became an Olympic runner and who won a gold medal in the 1924 Paris Olympics. He was a man who had a deep commitment to the Lord and had future plans of being a missionary. In the meantime, he knew God had given him a special gift to run, and he often said, "I feel God's pleasure when I run." He spent years training for the Olympics. He passed each hurdle and qualified for the Olympics. Finally, the day came for him to run in the games that were held in Paris. There was only one problem. One of his running events (100 meter race) was held on Sunday. Liddell refused to run on Sunday, believing it dishonored the Lord's Sabbath. He held to his convictions and brought great persecution on himself. He made a decision that even if it meant losing his opportunity to compete, he would not run. God's laws were greater than man's applause. Liddell spent the intervening months training for the 400 metres, an event in which he had previously excelled. Even so, his success in the 400m was largely unexpected. The day of 400 metres race came, and as Liddell went to the starting blocks, an American masseur slipped a piece of paper into Liddell's hand with a quotation from 1 Samuel 2:30, "Those who honour me I will honour." Liddell ran with that piece of paper in his hand. He not only won the race, but broke the existing world record with a time of 47.6 seconds. His life is a classic example of how God tests our hearts to see if we will remain faithful to Him at the cost of something important to us. Once He knows where our loyalty lies, He opens a new door that meets the desires of our hearts. God takes pleasure in seeing His creation used for His glory. Let our life bring pleasure to the Lord. God has instilled certain gifts and talents in us so that He might find pleasure in His creation of us. Let us take pleasure in the gifts God has given to us and let His glory shine through us.